El Paso County Parks was named the Land Management Partner of the Year by the Rocky Mountain Field Institute. “We have enjoyed a long and effective working relationship with the Rocky Mountain Field Institute conserving our special places in the El Paso County Parks system and we are deeply honored to receive the 2018 Land Management Partner of the Year Award,” said Tim Wolken, Director of Community Services for El Paso County. Single track trail construction in Pineries Open Space. “We are sincerely appreciative of the partnership and look forward to continuing that partnership for many years to come,” said Peterson. 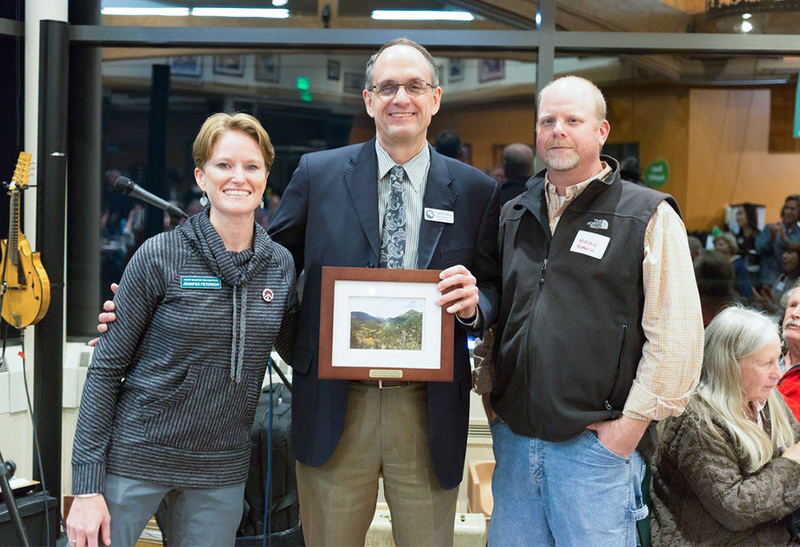 The award was presented at the Rocky Mountain Field Institute’s annual Fall Shindig on November 15.